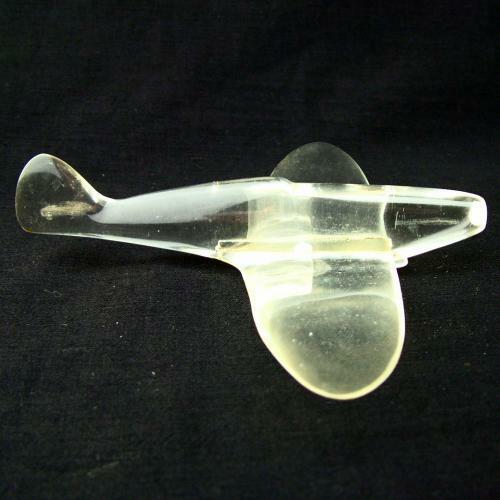 Period model carefully and skillfully created from scrap pieces of aircraft canopy plexiglass. Approximately 15.5cm wingspan x 13cm in length. Lacks elevators otherwise in nice condition and displays well. Stock code M21402.